Dubai real estate market is likely to continue to experience firm stability and pronounced growth this year just like it did in 2015. This phenomenon can be attributed to numerous key factors such as Dubai’s status as a top commercial and tourism hub, a rising local population, strong appeal among international investors and government funding on major infrastructure projects. There is a lucrative opening for real estate companies to capitalize the opportunity. Conveyancing is a well-known legal term in the business world with regard to property purchase or sale. This is preferred by most people and find it easier to deal with. When an individual wants to sell a real estate property and the ownership needs to be transferred to the person with whom the agreement is made, this is conveyance. This is a document that sets the legal aspects of transferring the property rights. 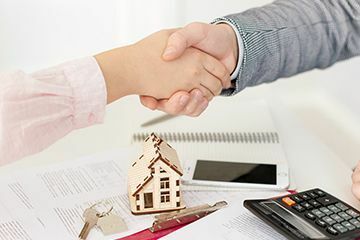 Simply, it’s the contract between two parties that made an agreement with regard to the buying and selling of a property, the selling price, the date of transfer, responsibilities and duties of each party, etc. 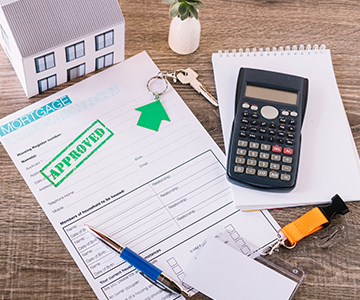 Property conveyancing Dubai is a well-known activity and because there are necessary steps to be taken in order to ensure that the proper and correct way of conveyancing is done. Therefore, lawyers are needed to oversee this matter and handle the procedures. One would always do well with having an attorney that specializes in the conveyance or knows what the process is for a successful conveyancing to be done. The legal matters shouldn’t be meddled with by people who are not familiar with the laws in the United Arab Emirates (UAE) because one single mistake can lead to huge repercussions. These two types of property, which are real estate property and personal property, are commonly known as movable and immovable properties for some people. These two types are owned by different individuals and investors in the UAE. Real estate is anything that cannot be moved (just like land) and also any natural things on or under it and man-made structures or improvements that are attached to it. The natural attachments would be the ones that are already there inherently, such as oil, trees, mineral deposits, etc. The artificial ones would be those that are simply added and did not exist before, just like barns, houses, buildings, etc. This is mostly what the people invest in. The UAE is rich in real estate that investors swarm in the country to capitalize this opportunity of investment growth and a lot of lawyers lend their hand with regard to this matter. Real property is simply the opposite of real estate as it is movable compared to the latter. Most people do not understand this concept although it is pretty straightforward. Basically, real property is anything that can be moved regardless how much it weighs as long as it is not an attachment to a real estate. This means that things like cars, tractors, animals, chairs or anything else that can literally be moved are all part of real property. This can also be considered as personal property, as many refer to it. There are disputes that can arise in any part of transactions and dealings in the world. Regardless if you have prepared for it, there can still be unforeseeable and unfortunate events that can occur which are completely out of your hand. This is why the UAE has rental dispute lawyer Dubai and property dispute lawyers Dubai to assist investors with issues that can arise before, during and after the process. HHS Lawyers & Legal Consultants is a team of real estate and property law attorney that is seasoned with experience. We are prepared and ready to receive your legal inquiries and assist you with our team of professionals by providing vital legal consultancy with regard to real estate affairs. Having one of the best real estate lawyer Dubai greatly grants us the capabilities to ensure big achievements for you. With 10 years of experience in different fields of law, our industry expertise and experience give us an edge in assisting you to have better deal overcoming intrinsic risk in the industry. Through trusted analysis, we can help you convert cumbersome real estate issues into opportunities for success.